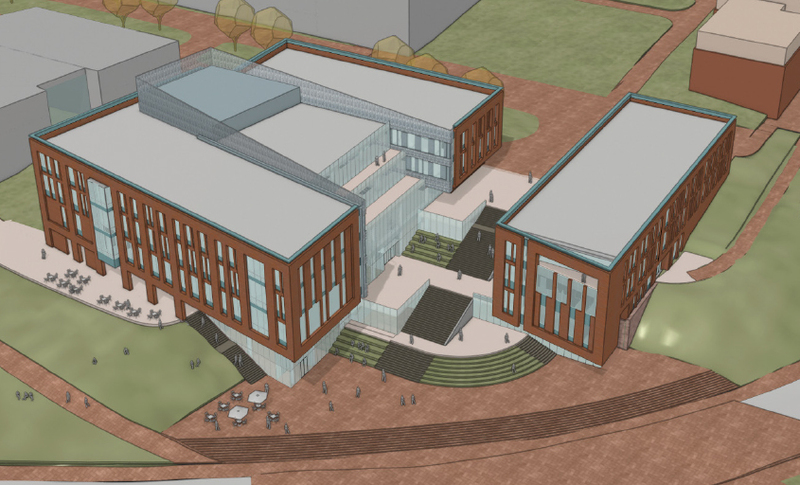 At their February meeting, the Clemson Board of Trustees approved final-phase plans and resolutions authorizing issuance of revenue bonds to construct a new academic building to house the College of Business and a new tennis center on campus. Final approval by the State Fiscal Accountability Authority was granted May 2. The business college will relocate from its current home in Sirrine Hall, which was built in 1938. 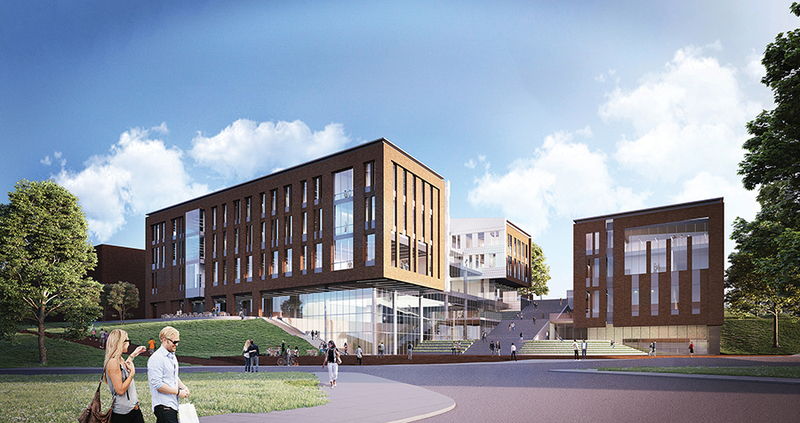 The proposed new 170,000-square-foot business building, scheduled to open in early 2020, includes classrooms and learning laboratories, faculty and administrative offices, study and gathering spaces, and common areas for greater collaboration among students, faculty, staff and business partners. “This new home for our outstanding College of Business is a key component of the university’s ongoing efforts to provide the type of academic facilities necessary to keep Clemson among the very best public universities in the country,” said Preside James Clements. “We very much apprecia te the support from our leaders in state government for this extremely important project and look forward to breaking ground on what will become one of the first business education facilities in the country. The total project cost, estimated to be $87.5 million, will be funded through a combination of state capital appropriations, state institution bonds and private gift funds. LMN Architects of Seattle is designing the building in collaboration with the Greenville office of South Carolina-based LS3P, the architect of record. The predominately brick and glass towers will feature an open design that includes an atrium. The towers will be connected above ground by an expansive outdoor stairway leading to a place and overlooking Bowman Field, and by an interior hallway on the building’s first floor. In addition to a multitude of technology-equipped classrooms, the building will house faculty and staff support offices, the college’s institutes and many shared learning spaces. Sirrine Hall, the business school’s current home, will become swing space for people transitioning to new locations on campus due to renovation or new construction. The proposed tennis center for the men’s and women’s varsity teams will retain existing tennis facilities, including outdoor competition courts and a 700-seat permanent stadium. The new 48,000-square-foot tennis center will include six indoor courts, two outdoor courts, a clubhouse, locker rooms, a training room, equipment rooms, a players’ lounge, laundry, coaches’ offices, a ticket office, public restrooms and related site work. The total project cost, estimated to be $12.5 million, will be funded either by athletic facilities revenue bonds and/or athletic private gifts. It is scheduled to be completed in winter 2017-18.